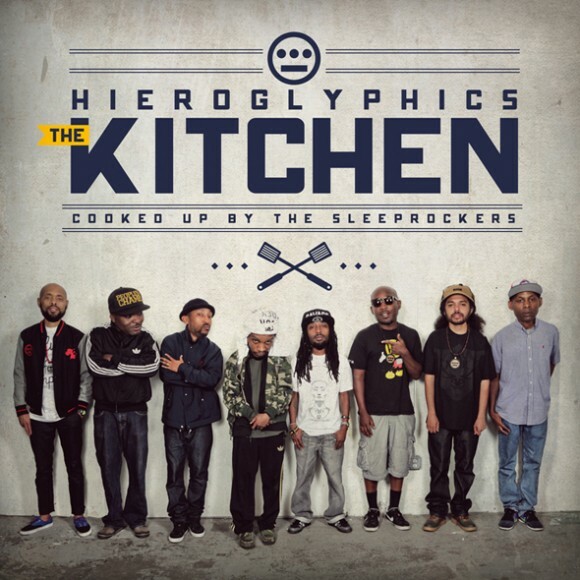 1990s Bay Area underground hip hop collective Hieroglyphics will be releasing a new album titled The Kitchen on July 16, 2013. Sacramento DJ/production crew The Sleeprockers collaborated with them on this 17-track album. Featuring their current single “Gun Fever,” a song based on a commentary on America’s obsession with guns and violence and set the mood for the new record. Their free flowing and up tempo style is overlapped with scratches, grooving bass lines and brass samples, giving them a unique sound which stood the test of time. The album title was a reference to where The Sleeprockers’ creative process as well as where all of the creative magic was happening. No track listing has been announced as of yet. The Oakland, CA based outfit currently features founding member and rapper Del the Funkee Homosapien, along with Casual, Pep Love, producer/manager Domino, DJ Toure, and the four members of Souls of Mischief – Phesto, A=Plus, Opio and Tajai.